Recently, we have started asking the questions in interviews: “Are you a happy person? What are 3 things that bring you joy? Do you like to make magic?” That last question is my favorite and I love to roll it into a conversation. Stefanie, our HR director, has a more subdued affect, so watching her casually work that into an interview gives me endless joy! These questions and the answers that follow are SO important to the process. Why? Because to have a happy team, you have to hire happy people. I have learned over the years that NO matter how hard we try, no matter how perfect we make the environment, we cannot make a person happy. A person chooses to be happy, or chooses to be unhappy. I love happy people. They have a light around them that is intoxicating. They can draw you in with their smiles, their laughter, their energy. Life is full of choices. We choose little things: what coffee to order, what clothes to wear, whom to spend time with. We choose big things: where to live, who to love, what our life’s work will be. You have chosen to be part of Urban Waxx. And Urban Waxx chose you right back. You may think that you’ve chosen a job, but in fact, you’ve chosen a family and a career path. And we’re glad you did. We want you here. We want Urban Waxx to become a part of who you are, not just what you do. We want you to learn from every interaction you have while you’re with us. We want you to learn from co-workers and your guests – and we want you to teach them all a thing or two, too. We want you to participate, grow, and evolve, and become a part of our mission. It’s about honoring the moment, and creating something bigger than any of us are as individuals. At Urban Waxx we do much more than just waxx. We deliver an extraordinary experience for every Guest. We create surprise and delight. We help people look good and feel great. We raise self-esteem. We increase self-confidence. 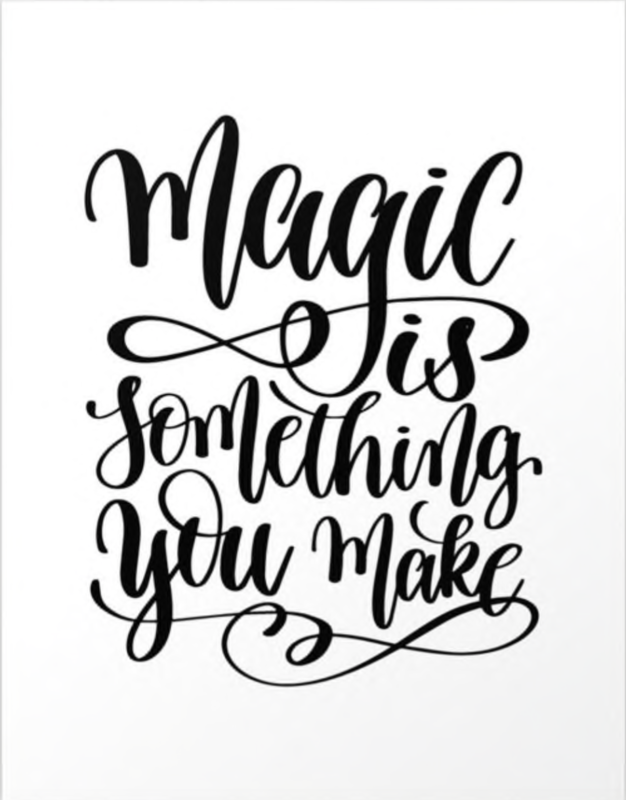 WE MAKE MAGIC! All of this begins with you! I believed in every word of that paragraph when I wrote it and I do even more today. Full disclosure: I just added that part about WE MAKE MAGIC…but I love it. I want Urban Waxx to be better every single day. I want to have a happy team, not only because it is so important to have a positive and happy work place, but because a happy team means that we will have a happy guest experience. You cannot fake happiness (I mean, you can try, but it you either have to be the best actor ever or eventually you start feeling happy and it stops being fake). When I walk into one of the salons, and I hear laughter, and I smell all of the good smells, and I see the GEMs smiling and the Waxxers smiling and the guests looking pleased or excited…that is magic. Every single day, we think of ways to make Urban Waxx better. We think of tiny details to make the experience for the guest warm, friendly, and special. We want them to feel like they are guests in our home. We want you to look forward to the entire experience…the mimosa or your favorite tea, the Fresh wipes in the restroom, the M&Ms to snack on. (Pro tip: mix half M&Ms with half trail mix. OH YES). We want you to feel completely at ease and loved and included. Every single day, we think of ways to make the employee experience better. My whole goal when I opened Urban Waxx was to create a home for employees. I wanted the team to feel seen and heard and important. I wanted them to be paid well, better than any other salon or spa in the area, with more and better benefits. I wanted, like I state in the handbook, the opportunity to have a career. I wanted them to be able to save, and have great benefits. And..they do! We offer a fantastic benefit package with health insurance, a 401K with a match, PTO, bonuses, parties…all the things that I had wanted when I was an employee…I wanted for my team. Most of all, I want them to make magic. At Urban Waxx, I know that without a happy team, there will be no happy guests. So, we strive, every day, to do better and be better. I have always thought that my curse was the ability to walk into any Urban Waxx and see what was wrong or needed to be fixed…anything out of place I could see in a millisecond. A while ago, a dear friend said: “That’s not your curse! That’s your Superpower!” So, I will take that. I like that. I can see ALL of the details because that is where the magic is…in all of those tiny details that leave you feeling…happy.